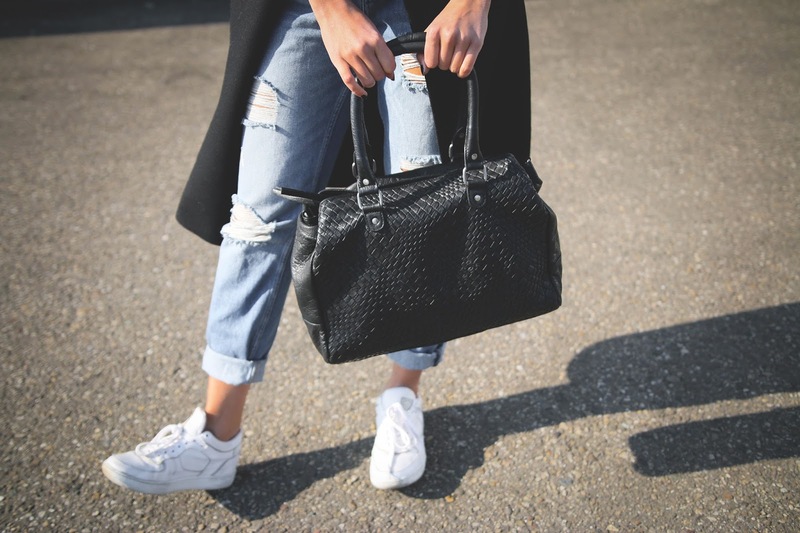 sweater by Weekday, sneakers Sacha and the bag and jeans you see is by PIECES. The bag is new, and so handy! It got like three big pockets on the inside with zippers. So I can bring all my stuff with me, which is mostly quit a lot. 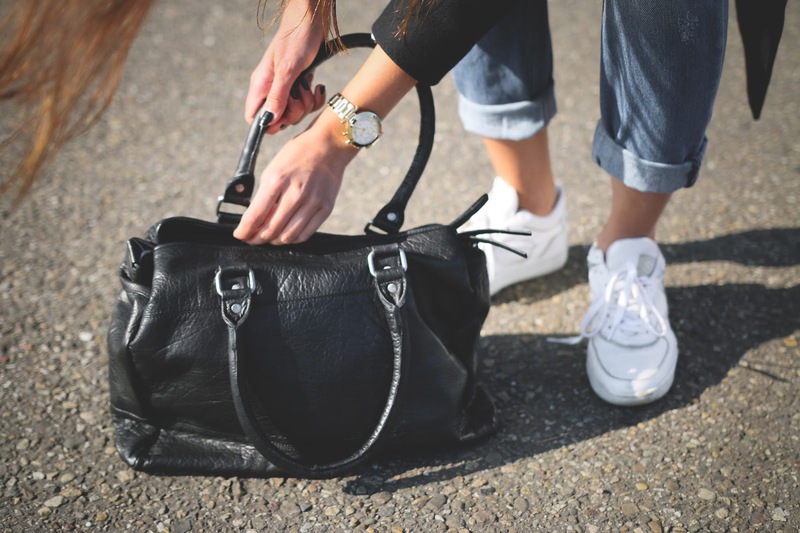 The bag is made of 100% leather and has got a detachable shoulder strap, also very handy. Besides one side is made of braided leather and the other just normal leather. So you can switch sides:) You can buy this bag here. Supermooie tas en prachtige foto's! Wat een stoere en toffe outfit draag je! En die tas is inderdaad perfect hoe hij er uit ziet!